Emma Ullery, Executive Director, brings a lifetime of horse knowledge and experience to Brighter Path. Her first connection with a horse at the age of three developed into a desire to raisie and train horses by the age of ten. Once shy and introverted, Emma's first-hand experience of having the warm back of a four-legged counselor at her disposal was transforming, and at age twevle she began teaching riding lessons at Jordan's Crossing, an equine mentoring and counseling program established by her father. As she witnessed those students grow in confidence and ability, Emma became determined to provide equine therapy to help anyone overcome their own unique challenge. This passion led her to study and gain certification as a Therapeutic Riding Instructor through PATH Intl in 2014, and soon thereafter transform Jordan's Crossing into Brighter Path, Inc. as we know it today. Emma lives in Richmond with her husband Michael and their dogs, Lilo and Rio. 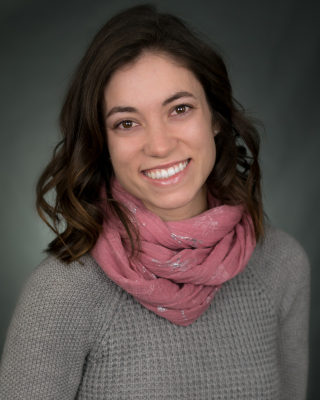 Lili McCullough joined our team in the Fall of 2018 and quickly made her way into our hearts. A lifetime lover of animals, Lili always makes time to cuddle with the cats at Brighter Path, and has been known to save the occasional mouse from imminent death. She has a natural connection with all animals, but feels a most keen connection with dolphins, dogs, and horses. 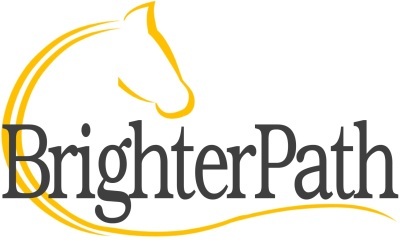 When she's not doing amazing things at Brighter Path she likes to spend time on the lake with her family, hang out with her dogs, and show her horse Zip. 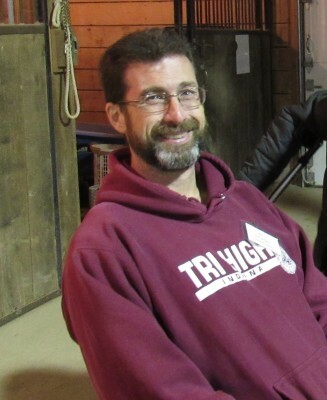 Mike "Bo" Robinson, our master coordinator, has freely provided his time and attention to our program since its inception. Bo manages paperwork, coordinates volunteers to fit the riding schedule, and manages all of the communication which comes with those responsibilities. A former high school teacher, his passion for kids radiates when students come through the barn door. The admiration he has for them *almost* equals the admiration they have for him. We are incredibly grateful for all of the work Bo does for us and the time he invests to further the Brighter Path mission.